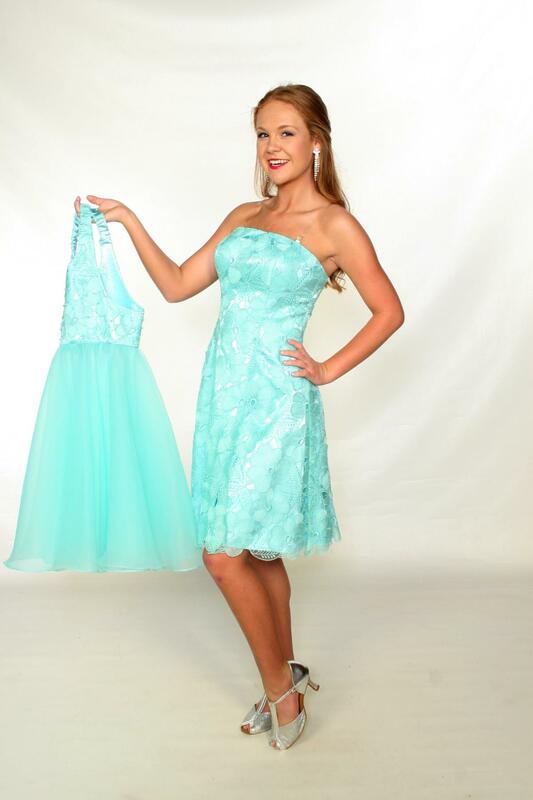 Slim style dress in lt. turquoise lace with tearaway overlay in lace and full organza shimmer skirt. Beading and sequins have been added to the overlay. Colors can change.